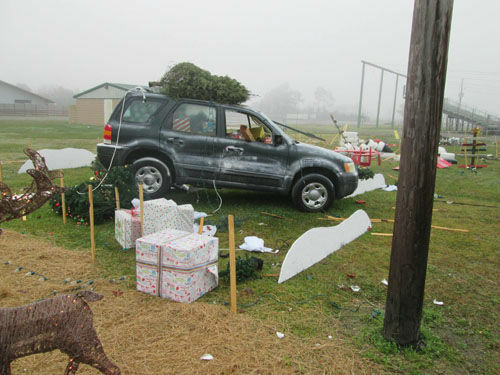 WINNIE, TX (KTRK) -- Looks like the Christmas Grinch has left his mark in the Houston area. 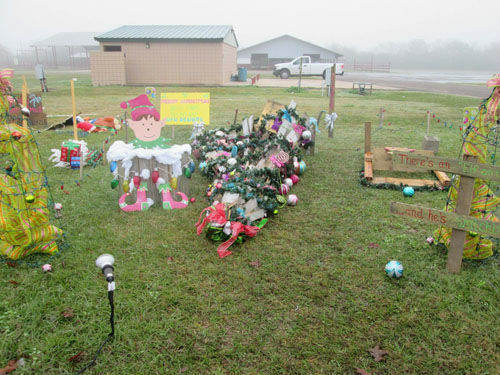 Authorities say a costly Christmas display in Chambers County was ruined last night by vandals. 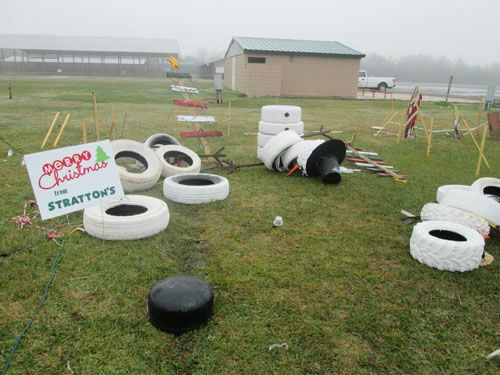 The festive display at the Winnie Stowell Park featured an inflatable Santa, rubber-tire snowmen, electric Christmas trees, and even a vehicle filled with wrapped presents. 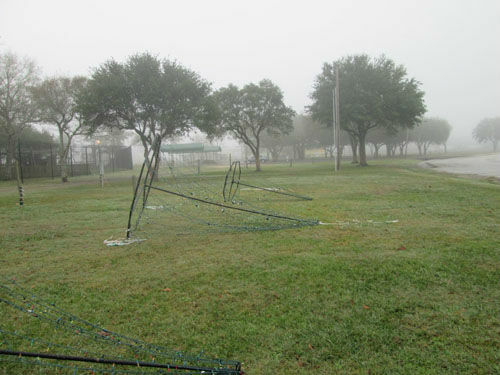 But Tuesday morning, residents were greeted by a horrific scene. 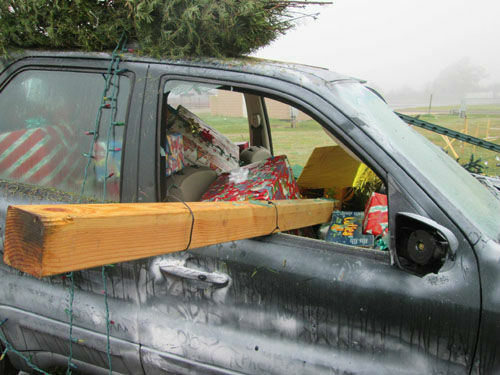 Someone had knocked over the Christmas trees, damaged the inflatables and toppled the snowmen and drove a wooden beam through the window of the gift-filled vehicle. 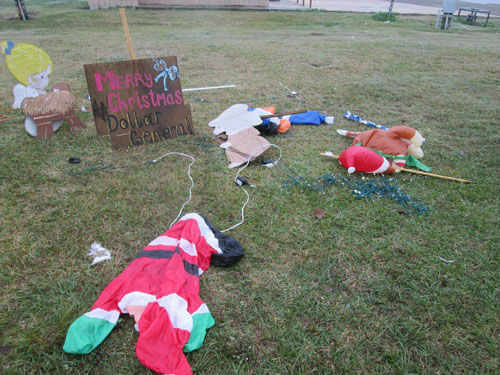 Authorities estimate the vandals caused more than $13,000 in damages, so those who did it now face a state jail felony charges. Anyone with information regarding the suspects is asked to call the Chambers County Sheriff's Office at 409-267-2500.